Kicking off an interesting and Happy New Year, I interview Author and Psychic Channel Sal Rachele about the global awakening, the political situation from a higher perspective, and A Course in Miracles. Enjoy! Please enjoy my interview with reincarnation expert Dr. Walter Semkiw on past lives of our political and historical figures as well as spiritual authors Gary Renard, Michael Tamura, Ken Wapnick and more. Don’t miss the big reveals in this riveting episode! Searching for meaning behind this holiday season, I interview Gary Renard and Cindy Lora-Renard about practical forgiveness and how A Course in Miracles paradoxically directs us to make Oneness from our differences. Enjoy this special holiday episode of The 24th Hour! Maureen Muldoon, aka the Spiritual Vixen, talks about her transition from Hollywood actress to spiritual teacher specializing in A Course in Miracles. Maureen weaves good storytelling and the hero’s journey into her dynamic spiritual talks, thus enhancing everyone’s understanding and enjoyment. Best-selling spiritual author and presenter Gary Quinn talks about discovering his life purpose, the power of forgiveness, and ways we can all live more loving and fulfilling lives. Next on the 24th Hour! Please enjoy our interview with “soul sisters” and hosts of the podcast “The Course, of Course!”. Stephanie Swengel & Jannine Rebman talk about their spiritual path, process, and book recommendations that have helped them along the way! Great information! Please enjoy Part Two of my inspiring interview with author, minister, and speaker Joe Wolfe. Joe details his transformative spiritual experiences leading to his study of A Course in Miracles! 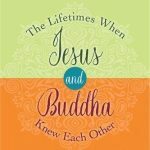 I interview Joe Wolfe, author, minister, and speaker about his harrowing prison near-death experiences which ultimately led him to the Love, Light, and Peace of God. Join us for Part One of this suspenseful two-part series! I interview Kevin Ryerson, expert intuitive and trance channel, about his vision for a sustainable, prosperous, cooperative future we can all help realize. Kevin channels stunning predictions and prophecies for the years ahead in this not-to-miss episode! I interview Dr. Bob Rosenthal, MD, author and one of the earliest A Course in Miracles students, about holiday parables and their deeper spiritual meaning. My sister, Cindy Lora-Renard, co-hosts this holiday episode focusing on A Course in Miracles (ACIM). We begin Season Two of The 24th Hour with spiritual teachers Michael & Raphaelle Tamura. 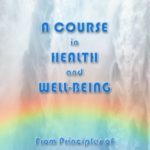 They chronicle their amazing journey towards awakening by sharing lessons learned from Michael’s near-death experiences. Enjoy! We have finished Season One where we began by interviewing best-selling author Gary Renard. Gary details his recent travels to China, fields viewer questions, and explains how practicing “A Course in Miracles” brought him peace and healing. Please enjoy Episode 7 of “The 24th Hour” featuring Sound Therapist Anne Huxtable about her journey from the corporate world to documentary film producer, musician and therapist. To all my fellow animal lovers, this one’s for you! Please enjoy Episode 6 featuring Professional Animal Communicator Debbie Johnstone. Please enjoy Episode 5 of “The 24th Hour” featuring Artist in Resonance Randy Masters about vibrational therapy. We hope everyone has a happy holiday season! Enjoy Episode 4 of “The 24th Hour” featuring Dr. Adam McLeod, also known as Dreamhealer. Please enjoy Episode 3 of “The 24th Hour” featuring reincarnation expert Walter Semkiw, MD. We are pleased to offer Episode 2 of “The 24th Hour” featuring renowned expert intuitive and trance channel Kevin Ryerson. We invite you to enjoy Episode 1 of “The 24th Hour” featuring best-selling author Gary Renard speaking about A Course in Miracles.